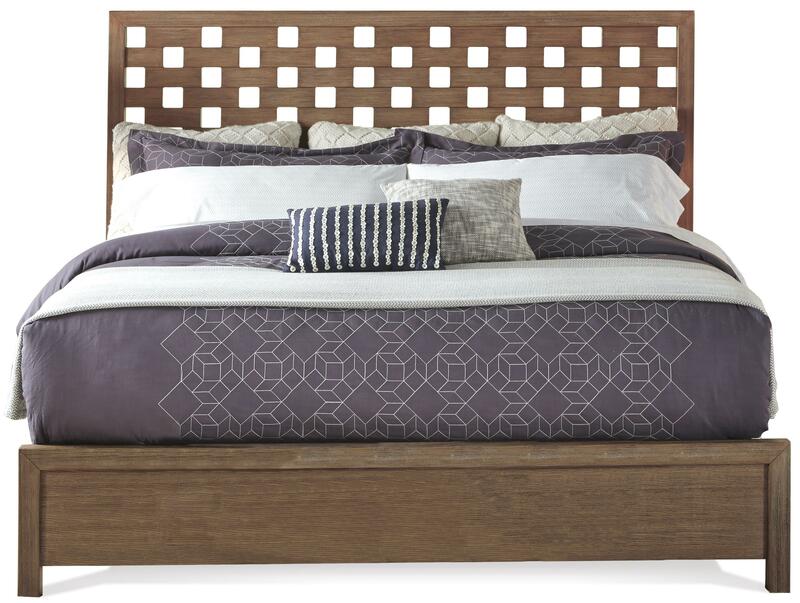 You'll love beginning and ending each day in this beautiful queen panel bed. 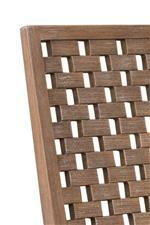 The piece is crafted from hardwood solids and oak veneers in a light ecru finish that is extremely easy to match with. 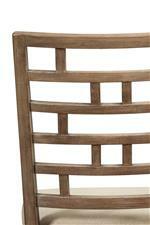 The calling card of this bed, however, is the unique square cutout style headboard. This design element gives the piece a touch of contemporary style and additional depth and texture, making this a bed to cherish for many years to come. 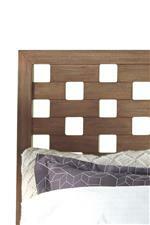 The Mirabelle Queen Panel Bed with Square Cutout Style Headboard by Riverside Furniture at Rooms for Less in the Columbus, Reynoldsburg, Upper Arlington, Westerville Ohio area. Product availability may vary. Contact us for the most current availability on this product. 26271 Queen Panel Footboard 1 63.5" 2.75" 16"
26272 King/Queen Bed Side Rails 1 81" 0.75" 8"
26270 Queen/Full Panel Headboard 1 63.5" 3" 62"
The Mirabelle collection is a great option if you are looking for Casual furniture in the Columbus, Reynoldsburg, Upper Arlington, Westerville Ohio area. Browse other items in the Mirabelle collection from Rooms for Less in the Columbus, Reynoldsburg, Upper Arlington, Westerville Ohio area.